Two weeks after Celtic had become the first British team to lift the European Cup in 1967, the Bhoys travelled to Spain to play Real Madrid in a testimonial for the legendary Alfredo Di Stéfano. Some were uneasy at the prospect of Celtic facing such heavyweight opponents so soon after their triumph over Internazionale in Lisbon. Would a defeat take the gloss off the achievement? While the match at the Santiago Bernabéu was played in honour of a legend of the game, the Celtic players were writing their own pages in the history books and none more so than Jimmy Johnstone, who stole the show in Madrid as the newly-crowned European champions won 1-0. One of the greatest wingers of all time, Johnstone turned in a virtuoso performance that had the Madrid crowd enthralled by his outrageous skills. One of the Real defenders was not too impressed, however, as he brought him crashing to the ground with a very unfriendly tackle after he beat one man too many. This didn’t stop Johnstone from showboating and he kept on dribbling effortlessly past Madrid defenders and one such run laid on the winning goal for Bobby Lennox. ‘Jinky’ came third in the European Footballer of the Year award that season as his team won every trophy they fought for, including the biggest prize of them all. Looking back at the vast array of footage, much of it in black and white, you see a diminutive player with a huge heart and fearless approach to some of the brutal treatment he suffered. Without exaggeration, the player he is most similar to in the modern game is Lionel Messi. He may not have been a prolific scorer like the Argentine, but he had comparable dribbling skills and the same willingness to go in where it hurts and keep coming back for more. In fact, Johnstone relished going back for more. He belonged to the era of the street footballer. At just five foot four inches tall, he relied on trickery and dribbling skills to compensate for his slight frame. He also had the mischievous character that brought out the best in his ability – he loved dribbling and making defenders look silly. Playing boys club football, his potential was quickly noted and the club where he had once been a ball boy signed him in 1961. At this time, Celtic were going through one of the worst periods in their history. Memories of 1957’s 7-1 victory over Rangers in the League Cup final were fading and by the time of Johnstone’s league debut, aged just 17, the Hoops had gone five years without winning a trophy. The winger was selected for the side to face Rangers in the 1963 Scottish Cup final and he impressed in a 1-1 draw. However, he was not picked for the replay and his team-mates were brushed aside 3-0 in another disappointing episode of a grim period. It took the arrival of Jock Stein to turn Celtic’s fortunes around, and he did so quickly and spectacularly after his arrival in 1965. As Dunfermline manager in 1961, Stein had contributed to the Bhoys’ barren spell by helping the Pars beat them 2-0 in a Scottish Cup final replay. Just two months after joining the Parkhead side, Stein was leading his new side out for the 1965 Scottish Cup final against Dunfermline as Celtic lifted their first trophy in almost eight years with a 3-2 victory at Hampden Park. Twenty-year-old Johnstone was not part of the winning team, having failed to establish himself under the new boss, but it wouldn’t be long before he became one of Stein’s key men. It had taken just two months for Stein to win his first piece of silverware and it took just six more for him to claim his second, and this time Johnstone made it into the side that beat Rangers 2-1 in the 1965 League Cup final. Celtic went on to have their best season in a long time, lifting their first league title in 12 years, but there was the disappointment of a Scottish Cup final defeat to Rangers to deny them the domestic treble. Celtic were also denied in Europe when Liverpool won their semi-final in the Cup Winners’ Cup 2-1 on aggregate. A disallowed last-minute goal by Lennox at Anfield was a huge source of controversy. Stein again showed a slight distrust of Johnstone’s individual genius by dropping him for the second leg away from home. But Johnstone was back in the starting line-up for another Hamden Cup final as Celtic claimed the first domestic trophy of the 1966/67 season, with 1-0 League Cup win over Rangers – yet another Old Firm final. Celtic had also beaten the Gers in their first league meeting of the season at Celtic Park but they were pushed hard by their bitter rivals. When they met at Ibrox in the penultimate game of the league season, it was all to play for. A point was all the Celtic required to clinch their second consecutive title but a home win would take things down to the last day. In the days of more unusual scheduling, Celtic had already won the Scottish Cup final against Aberdeen, with Johnstone setting up the second goal in a 2-0 win. But Jinky was to truly take centre stage at Ibrox. He twisted and turned in customary fashion, teasing his opponents throughout. The hosts took the lead through John Greig, piling the pressure on Celtic. But Johnstone soon eased the nerves when he prodded in the rebound after a shot had come off the post. His equaliser set the scene for one of his most memorable moments in a Celtic shirt. Johnstone picked up a throw-in on the right and cut across the pitch at speed. From 20 yards, he then unleashed an unstoppable shot into the top corner with his weaker left foot. The Gers would make it 2-2 but Celtic had the point they needed to secure the treble. Caked in mud, Jinky cavorted around the Ibrox pitch, hugging his opponents and basking in the adulation of the Celtic fans. But an even bigger challenge awaited as the European Cup final was on the horizon. The Bhoys has beaten Swiss, French and Yugoslav opposition on their way to the semi-final with Dukla Prague. Johnstone opened the scoring with a lobbed finish in the home first leg and, though the Czechs levelled, a Willie Wallace double earned the Hoops a 3-1 victory. A goalless draw in Prague then ensured that Celtic would face Inter Milan in Lisbon on 25 May. The Nerazzurri were going through a golden period under Helenio Herrera, having won three Serie A titles and two European Cups during his reign. A such, the Italians were clear favourites going into the game. But the underdogs would show no fear on a hot Lisbon evening. The side made up of players from within a 30-mile radius of Glasgow attacked from the off and, despite the setback of conceding a seventh-minute penalty to Sandro Mazzola, they stayed on the front foot. Masters of the ultra defensive Catenaccio, Inter were set up to defend a lead but with the likes of Johnstone, Bertie Auld and Bobby Murdoch piling on the pressure, the Italians eventually cracked as goals from Tommy Gemmell and Stevie Chalmers made history. Stein had miraculously taken just two years to transform an underachieving side on a run of eight trophyless years to domestic treble winners and European champions. On the night of the European Cup final, Johnstone’s tireless running and dribbling had upset the shape of the defensive masters from Italy and they eventually succumbed to a hungrier side. Just two weeks later, on that night in the Bernabéu, he gave a reminder of what a great player he had become. 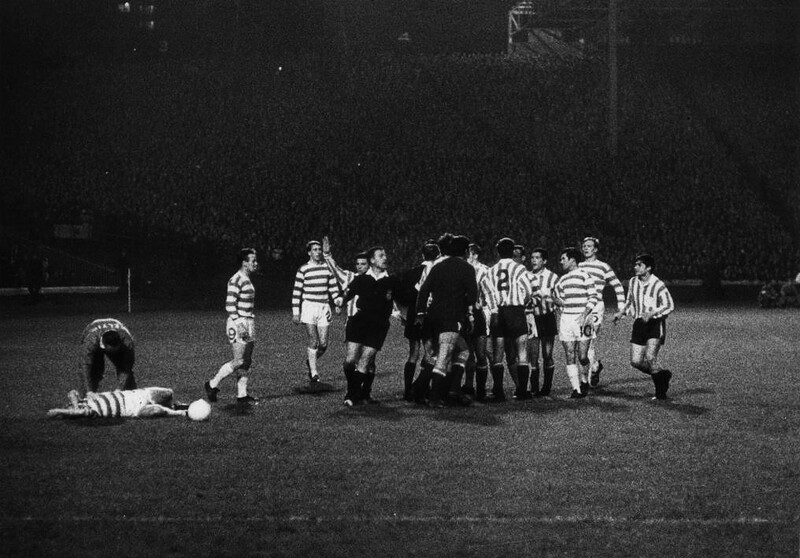 While neither Johnstone nor Celtic would ever reach the heights of that night in Lisbon again, there were still plenty more glory days to follow for Jinky as Stein’s men began an era of dominance and sustained excellence in Europe. While the defence of the European Cup ended in disappointment with a 3-2 aggregate defeat to Dynamo Kyiv in the first round, the Bhoys were soon back among Europe’s big boys and Johnstone would be the star of the show again. His performance in the European Cup second round first leg at Celtic Park in 1968 was one of his finest, and the inspiration belonged to Stein. Jinky had a fear of flying and the long trip to Belgrade did not appeal. With the match tied at 1-1 at half-time, the Celtic boss apparently promised the winger that he wouldn’t have to travel for the second leg if Celtic held a three-goal lead. Johnstone took him at his word and went on to destroy the Yugoslavs with two goals and two assists in a 5-1 victory. The Bhoys were eliminated in the quarter-finals by eventual champions AC Milan but it wouldn’t be long before the Glasgow club went further again. Domestic dominance continued for the Celts as they clinched the double with a 4-0 Scottish Cup final win over Rangers. 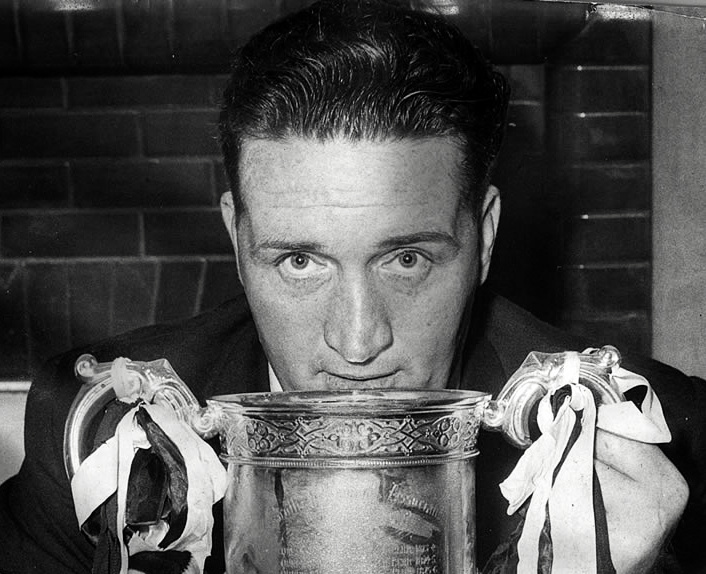 And the following year, Johnstone played a huge part again as his side went all the way to the European Cup final, three years after winning their first title. 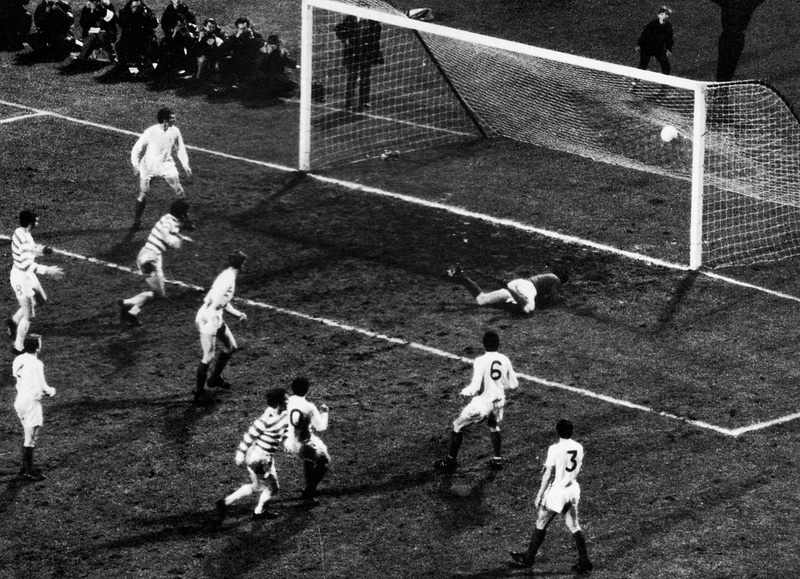 The Hoops were lucky to make it to the quarter-final, having beaten Benfica on a coin toss after squandering a 3-0 first-leg lead over the Portuguese side and losing 3-0 in Lisbon. But the Scots took advantage of their good fortune by dismissing Fiorentina 3-1 on aggregate in the last eight. Leeds United blocked Celtic’s path to a second final, with Don Revie’s side highly rated at the time. Most expected the English champions to win the Battle of Britain but Celtic took Leeds by surprise in the first leg at Elland Road, with a first-minute strike from George Connelly giving them a 1-0 advantage. The Guardian’s Albert Barham suggested Celtic looked better than in 1967 and highlighted the impact of the “speed and guile of Johnstone”. The second leg was moved to Hampden to accommodate the crowd and most of the 136,000 fans were silenced when Billy Bremner brought Leeds level with a long-range strike in the first half. But John Hughes equalised on the night before Johnstone’s run down the right set up Murdoch to clinch a 3-1 aggregate victory for Celtic. Unlike three years beforehand, Celtic carried the burden of favourites going into the final against Feyenoord. This was at a time when Dutch football was beginning to gain prominence, and Feyenoord, managed by Ernst Happel, had future Celtic boss Wim Jansen in their line-up. Although Celtic took the lead, the Dutch proved too good, winning 2-1 after extra time. For the rest of Johnstone’s time with Celtic, Stein’s side remained a force in Europe, reaching two more European Cup semi-finals – in 1972 and 1974 – but losing to Inter and Atlético Madrid respectively. The defeat to Atlético went down in infamy after a violent performance from the Spaniards in the first leg in Glasgow. Johnstone, now 29, was singled out for particularly nasty treatment. Early on, after waltzing past two defenders in his customary style, he was taken out knee-high with a brutal challenge. It would have been a straight red card nowadays but not then. Three red cards would finally come in the second half as the referee lost patience, one after another knee-high challenge on Johnstone. But the visitors held on and their cynical tactics were rewarded with a 0-0 draw. In a Madrid atmosphere heavy with intimidation in Franco’s Spain, Johnstone received a death threat ahead of the second leg and Celtic lost the game 2-0. Bayern Munich did the game of football a favour by defeating Atlético 4-0 in the final but the treatment of Johnstone in the semi-final demonstrated how opponents viewed the danger of Celtic’s finest winger. In that game, only Jinky, Lennox and Billy McNeill survived from the Lisbon Lions. Despite being one of the greatest ever Scottish players, Johnstone failed to achieve deserved recognition at international level. A reflection of this is that arguably his most famous moment as part of a Scotland squad came off the pitch. This performance neatly bookended one of his first performances for the national team when he again tore the England defence to shreds in 1966. Unfortunately, on that occasion, his two goals weren’t enough to prevent a 4-3 defeat against the team that would soon become world champions. Johnstone travelled with the Scotland squad to the 1974 World Cup finals but wasn’t selected for any of the group games against Brazil, Yugoslavia and Zaire. One can only wonder if a bit of Jinky magic might have made the difference as the Scots went out on goal difference, despite going unbeaten. In the end, Johnstone won just 23 caps, an astonishingly low total looking back but also indicative of a different era and a time when Scotland had much greater strength in depth. Nevertheless, it does not reflect well on the Scottish management that possibly the country’s greatest ever talent was not consistently first choice. Johnstone’s career began to wind down when he left Celtic on a free transfer in 1975. He had played for his boyhood heroes 515 times and scored a total of 129 goals. The side he left had just clinched their ninth domestic title in a row but Johnstone’s departure, along with captain Billy McNeil, signalled an end to the glory years. Of a new generation of potentially world-class stars, Davie Hay and Lou Macari had already left for England. Kenny Dalglish would soon follow, with Danny McGrain the one player who would spend the best years of his career with the club. Johnstone was not yet ready to retire. But, still only 31, the years were taking their toll and he left for the USA for a brief spell at San Jose Earthquakes. Several short spells at other clubs followed until he turned out for Elgin City in the Highland League in 1978. It may have been the end of Jinky’s playing career but the memories of his time at Celtic have endured like no other player in the club’s history. Sadly, Johnstone was diagnosed with motor neurone disease in 2001 and passed away in 2006. But he lived to see the day in 2002 when Celtic fans, many of whom would never have seen Johnstone in the flesh, were asked to name the greatest Celtic player of all time. Johnstone came out on top, ahead of a team worth of world-class talents like Henrik Larsson, Dalglish, McGrain and Murdoch. A statue of Johnstone now stands outside Celtic Park to provide a permanent reminder of Jinky’s extravagant talents. Many wingers have suffered from comparisons with Johnstone, with no one ever able to come close to his ability or his achievements in the years since he proved many a world-class defender’s worst nightmare.